Aksa Power Generation's mobile generators are mounted to DOT approved trailers for smooth and safe transportation, no matter the terrain. 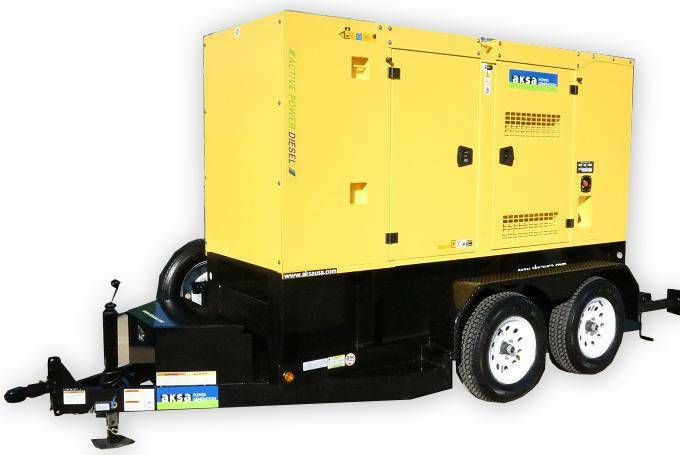 From rental applications, to oil field and disaster relief efforts, our mobile generators are custom built to fit your needs. All Aksa Towables come standard with a 24 hour integral fuel tank, spare tire, tool box, front and rear stabilizer jacks, electric brakes, sound attenuated enclosure, lockable fuel cap and a full convenience panel.